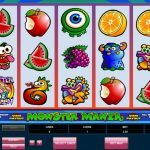 Designed to recreate the idyllic natural beauty of Thailand’s beaches, Thai Paradise is an online slots game that attempts to mix summer fun and cultural charm with exciting slot machine action. 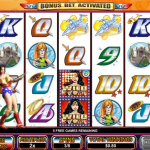 The game design incorporates eye catching animations, along with contemporary slot machine mechanics and an additional bonus gamble. 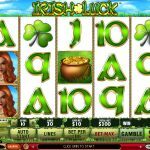 New players looking for a rewarding slots experience might just find what they’re looking for with this software. 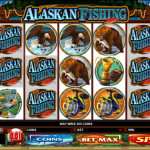 The online slots market is largely driven by presentation, and all of the major developers try to incorporate unique themes to capture the attention of players. The diverse country of Thailand offers a lot to tourists, and Playtech has tried to leverage off of this attraction by designing an authentic Thai theme with this game. The opening animation draws players in from the start, featuring a beautiful Thai girl standing on an inviting beach. There are coconut trees and white sand, two things which are synonymous with tropical relaxation. Within the game the icons used are quintessentially Thai. There are icons like the majestic White Elephant, a Thai Flower, and even a traditional Thai Temple. Animations are used to good effect, although they’re not extensive. The Thai Girl symbol makes subtle hand movements, a symbol of greeting, and the White Elephant bathes itself from water stored in its trunk. Winning sounds are prominent and add to the excitement, but the music falls flat in that it doesn’t evoke any of the South East Asian feel that you would expect. 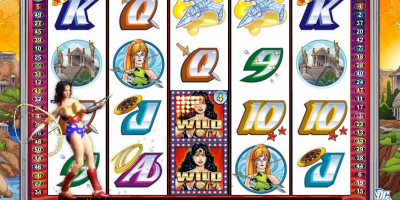 The gameplay is easy to learn, although not entirely unique compared to other slots games. There are 5 on screen reels, 15 paylines, and players can bet up to 10 coins on any single line. Coin denominations range from 0.01 to 5.00, allowing for strategic and varied betting. The coin denominations are focused towards smaller bets, meaning that this game is not intended for the high rollers. The usual wild and scatter symbols are present, and the wild symbol can be used to make matches with any of the other in game symbols. The scatter symbol is used to initiate the free spin mode, which is typical to most recent online slots games. There is no second screen bonus game, but the free spin mode does offer some exciting bonuses for players. 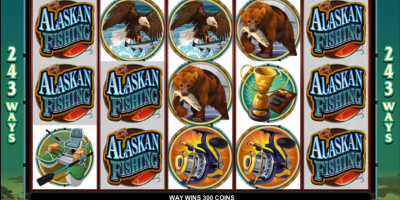 Three scatter symbols will trigger the free spins mode, with 10 free spins awarded to players. Within this mode there is also a mystery scatter. This feature allows a regular symbol to become a scatter symbol. The game will indicate the new scatter symbol, and whenever this symbol appears on a payline it will payout according to its usual value, multiplied by the total bet. This makes the free spin mode especially rewarding. Thai Paradise also features the popular red or black guessing game upon payout. Guessing the red or black card correctly will result in a doubling of the payout, and players can continue to guess until their payout reaches a maximum of 1500 coins. Players should beware however, because a wrong guess would mean losing the payout. The maximum fixed jackpot is 5000 coins, and the secondary is 2000. 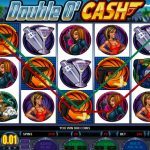 Progressive players may be disappointed to find that this game only features fixed jackpots. The unique Thai theme, good use of animation, highly rewarding free spin mode, and addition of the gamble option make Thai Paradise a good choice for anyone who wants a low roller game with significant rewards. Music seems to be a common oversight with online slots games, and Thai Paradise has also missed the opportunity to make the most of incorporating a themed soundtrack. The lack of a progressive jackpot, and relatively low fixed jackpots mean that high roller players will probably find little to keep them in this game. Thai Paradise seems geared at the new and casual online casino gamers. It provides the opportunity for significant rewards, but has a low risk approach when it comes to placing bets. 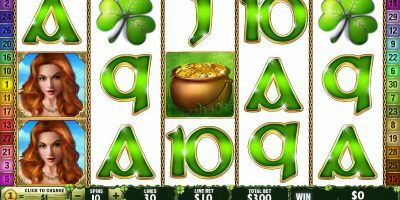 Players who are only just getting a feel for online slots, or those who want to gamble without risking too much money will find plenty to love in this game.